We do not mean love as you now experience it in the physical realm, but the Sacred Love of your OverSoul Higher Self, the many Facets of your Higher Self, and ultimately your Twin Flame − as well as your Soul family in the higher realms, your wondrous angelic friends, the great Beings of Light, and our Father/Mother God and the Supreme Creator. That is what is missing, and that is what you have yearned for ever since you left your lofty home among the stars, when you divided yourself into two Sparks of individualized awareness: one masculine Spark and one feminine Spark of Divine consciousness, so that you could reflect and experience the glory and diversity of our Father/Mother God. In the past, we have explained how you agreed to separate from your sacred partner in order to fulfill your Divine mission; how you have taken turns in assuming a masculine or feminine body; and how, most often, one of you stayed in the higher realms while the other incarnated in the physical expression. Rarely were you given an opportunity to meet in the physical world; however, there were wondrous times in the higher dimensions when you were allowed to join together for a time of joyous reunion, for an infusion of loving ecstasy, a blending of your Essence, a remembrance of what you left behind, and what you have to look forward to in the future. This wondrous gift has not been available to you since you sank into the density of the Third/Fourth-Dimensional expression − Until Now. We have asked much of you over these past years of awakening, and you have suffered through many trials and tests. We see that great multitudes of you have slowly, but diligently, changed for the better as you lifted and harmonized your frequency patterns and let go of old, self-limiting thought forms and limitations. You have relinquished most of your ego-driven emotions and habits, as you have striven to Return to Center within your Sacred Heart and to become a Self-master. We have watched you struggle to understand all the new, mind-boggling concepts, as you endeavor to claim and live your truth to the best of your ability. We salute and honor you for your dedication and your constant vigilance in monitoring your thoughts, and for always striving for the greatest good of all. In reviewing the past, have you not changed radically for the better? Is your personal world more tranquil and filled with joy? Are you not gaining proficiency in creating abundance and the things you desire to live in comfort and safety? Have you learned and taken to heart the universal laws of prosperity, whereby you affirm that you are entitled to abundance in all things? Remember, you must keep the universal flow circulating; you are to take what you need, and then allow the balance to flow out into the world to be shared, so that it can be replenished and multiplied, over and over again. We have spoken much about the purity of unconditional love, which was encoded within your Adam/Eve Kadmon Light Body, as you journeyed forth as emissaries for our Father/Mother God, and how it became distorted by the physical, ego desire-body as you sank into the density and the broad spectrum of duality in the Third/Fourth-Dimensional experience. It was not ordained that you should lose touch with the Sacred Love of our Father/Mother God and the Creator. Also, it was not a part of the Divine plan for you to forget your lineage and your Divine heritage. As you began your journey into the density of the Third and Fourth Dimensions, the veil of forgetfulness was placed over your memory. It was not meant as a punishment, but as an act of mercy, for it would have been overwhelmingly painful to remember the negativity of your past incarnations, as well as very confusing to have access to your many experiences in the higher realms of consciousness. Remember, in most of your past incarnations in the physical realm, you brought very little of your God consciousness with you. The majority of human Beings have been functioning within the lower levels of brain consciousness. We have told you that you have encoded within your DNA and Divine blueprint all the virtues, attributes, qualities and aspects of our Father/Mother God. 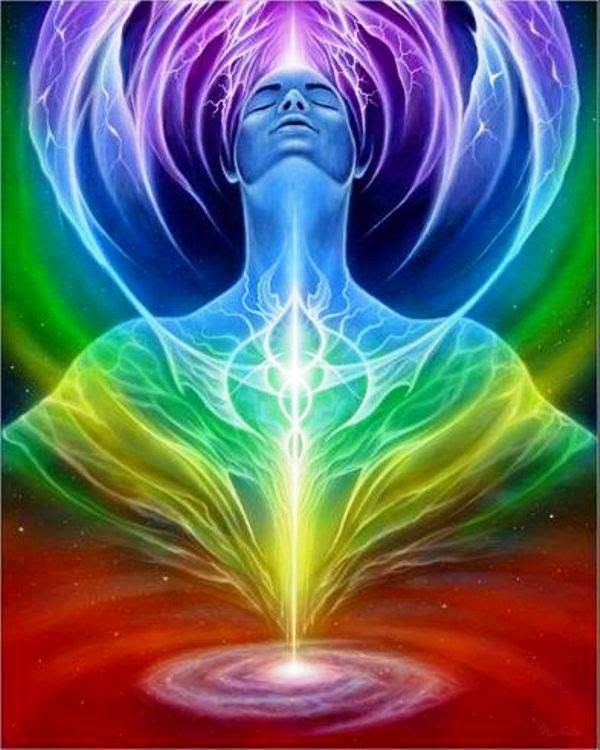 You are an electromagnetic force field − an energetic package of Divine Light substance. 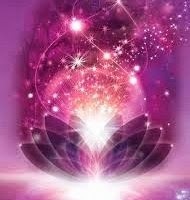 Encoded within each of you is the ecstasy and bliss of Sacred Love − a cosmic, orgasmic experience beyond anything you can imagine in the physical expression. Opening and attuning to the physical Sacred Heart center is just the beginning. 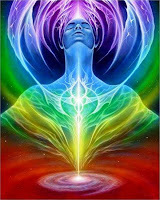 It prepares you for the multi-level reunification process whereby you will gradually reconnect with the many Facets of your Higher-Self. Many of you are now comfortable with the concept of communing with us, your unseen friends and companions of the higher realms. 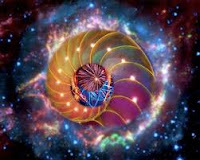 Now, a most wondrous gift is being offered to you, for those of you who are resonating to the frequencies of the upper three sub-planes of the Fourth Dimension and the entry levels of the Fifth Dimension, your Soul Song frequencies are such that you now have the ability to reconnect with a Twin Soul who is in harmony with your Soul’s vibrational patterns −you are ready to experience the ecstasy of Sacred Love. No longer do you have to feel lonely or to hunger for loving acceptance and validation of your worthiness. No longer do you have to yearn for fulfillment, and desire someone in the physical to reflect back to you your beauty or to give you a sense of belonging. Our Father/Mother God has been waiting for the time when they can offer you this gift beyond compare. When we speak of returning to Oneness, we mean that in the greatest sense, as well as in the many subtle levels of integration in the physical realm. 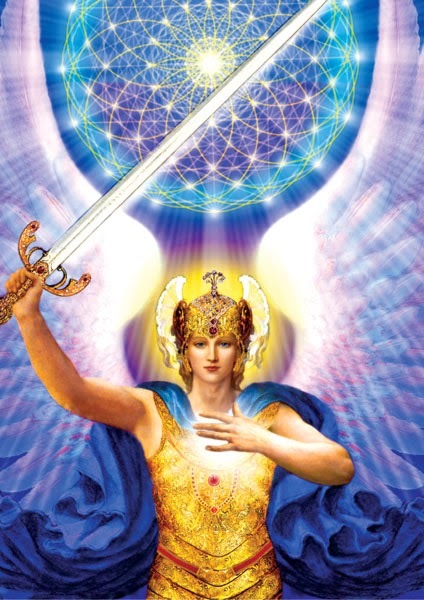 We have told you that the Divine blueprint for the future is now in place, and many rules and conditions of the past will no longer apply to those of you firmly on the path of heightened awareness. 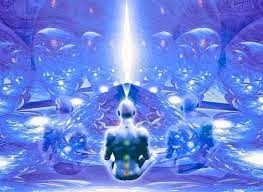 No longer will you incarnate with just one of the three major God Rays as your predominate overlay; you will have all twelve Rays of cosmic consciousness fully available and active. In the future, it will be up to you to decide which Rays and combination of Rays you wish to focus on, develop and master. Many of you will choose to not return to planet Earth, but will join with your Divine Soul Mate and many members of your Soul family, as you accept new Divine missions in order to assist in the creation of the new Golden Galaxy of the future. Many rules, conditions and concepts of your earthly experiences are changing as you evolve from human beings to Galactic Beings: you are in the process of returning to your true estate as a co-creative master in the realms of Light. How do you go about connecting with your Divine Soul companion? First you must say “YES TO SACRED LOVE.” You must desire this connection with all your Being, you must open your mind and heart to the concept that you have a compatible Divine Soul Mate who also desires A Soul reunion, and you must believe with all your heart that it is possible to reconnect with them. 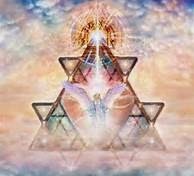 Go into your Pyramid of Light and lie on the crystal table, move into your Sacred Heart Center and allow the Sacred Love/Light of our Mother/Father God and the Creator to pour forth and fill you to overflowing. Send out the call to your compatible Soul Mate, and ask them to join with you. Speak the words of love that fill your heart and mind, and then listen for an answer. Know that you will receive an answer; however, do not put any conditions as to how and when it will happen. Just know that when the time is right, your beloved will appear. 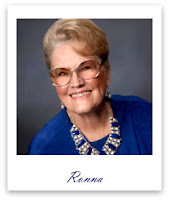 Your reconnection in Spirit form will be a very personal happening, unique and precious to you and your beloved. 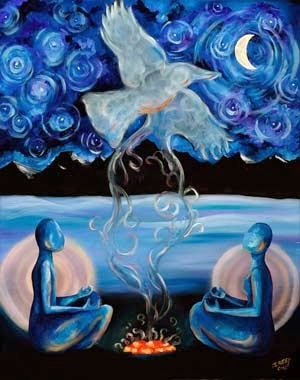 Even if you already have a mate or companion in the physical expression, it is permissible and desirable to reconnect with your Divine counterpart in Spirit form. As you connect with and integrate the attributes and qualities of your other half, something magical happens: You return to wholeness within your own Being, and you no longer look outside yourself for validation or for what you feel is missing. It is the quickest and surest way to feel and then learn to express unconditional love and, thereby, your frequency patterns will be lifted. As a result, you will begin to radiate that refined love to your mate, your loved ones and everyone around you. Most often, your mate and your family will respond to your emanations of Sacred/unconditional love, and the interactions between you will quickly change for the better. A small minority of more-evolved Twin Flames sometimes incarnate on the Earth Plane at the same time, and it is sometimes ordained that they will find each other and make a connection. In such an instance, both halves of the whole agreed to incarnate at mutual proximity to see how Twin Flames would progress together in the physical expression. Unless the two people involved are firmly on the Path, and are fairly balanced within, these unions do not result in the bliss state, for they bring more strife and unhappiness into their lives than happiness and satisfaction. There is often an obsession with each other, which results in a can’t live with, but can’t live without situation, for they have not learned the secret of Sacred Love, and they are still playing the game of duality and ego-driven love with many conditions. Many of you will experience doubt, and perhaps some negative emotions regarding this concept of Twin Flame reunion, and the possibility of cosmic, orgasmic bliss. 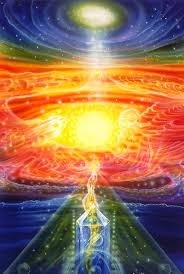 We tell you, beloveds, the feelings of love and the orgasmic union in the physical body pale in comparison to the bliss and the ecstasy we experience in the higher realms. We are in a constant state of bliss, but the most precious gift of all is when we merge with our Divine compliment, blending our Essence and ALL of who and what we are. At each higher dimensional level, the bliss/ecstasy state of Sacred Love is magnified. You, as humans, could not tolerate the power and magnificence of the Creator’s sacred love that we experience constantly. Are you willing to test this new level of cosmic awareness? Are you ready to accept this Divine gift that is being offered you? You have nothing to lose and everything to gain. Your Divine Soul Mate is waiting for you to put out the call. When you say YES to Sacred Love you will feel a dramatic change within your Sacred Heart Center as it prepares to receive the rarified gift of Sacred Love radiated forth from our Mother/Father God. Your earthly life will forever be changed. Call on us and we will guide and assist you in every way possible. Know that I am with you always and you are loved most profoundly.